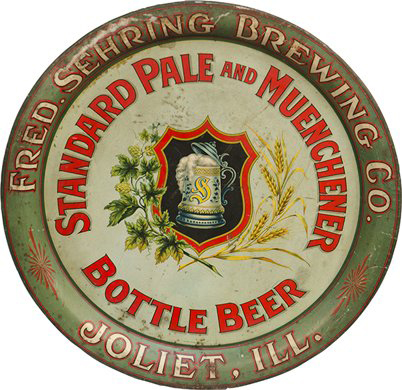 Serving Tray for Standard Pale and Muenchener Bottle Beer from The Fred. Sehring Brewing Company out of Joliet, Illinois. Showing in the center a mug of the company’s brew inside a shield with wheat and hops on either side. A nice tray with excellent style.